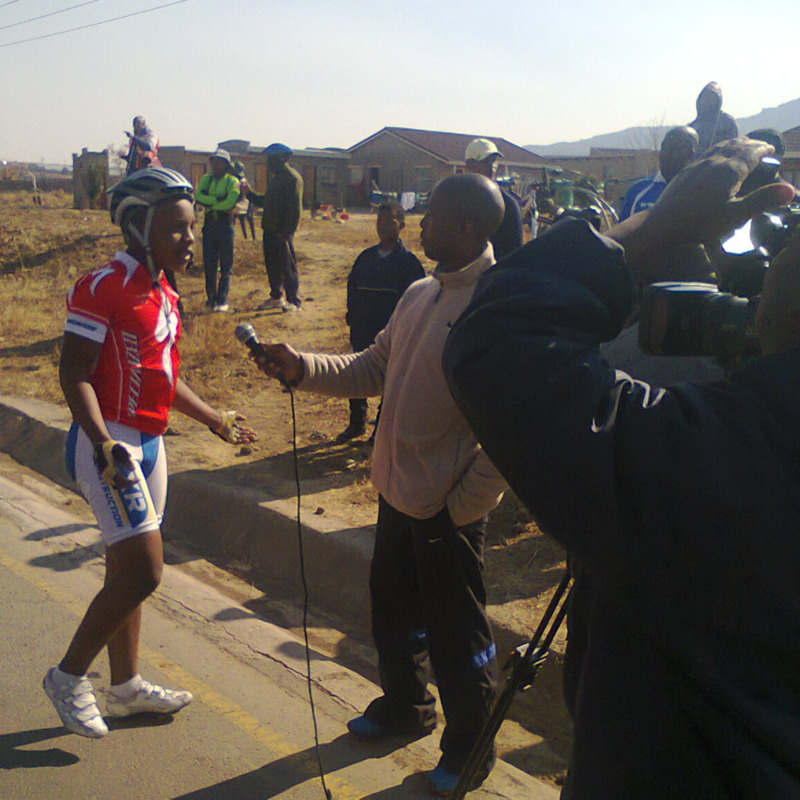 Lesotho's National Olympic Committee and the Lesotho Cycling Association held a junior road race to select the most promising young riders to represent Lesotho in the 2014 Youth Olympic Games in Nanjing, China. The two riders below took the top spots, both on bikes donated through Mike's Bikes and in jerseys donated by Specialized. The spectators were very excited to see road racing in Lesotho and to see the performance of these young riders. We're thrilled to see cycling rising to higher levels of recognition and respect in Lesotho, and we can't wait to see these two representing their country in the Youth Olympics.